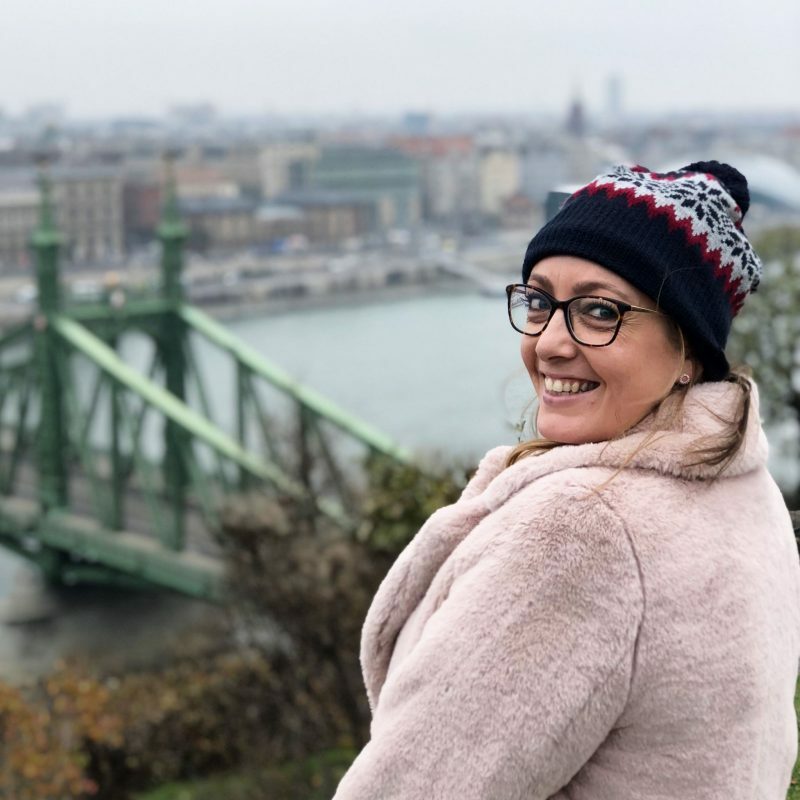 You may have seen me write on my blog before that I have been trying to get fitter in the past few months. I find I keep my motivation up quite well when being able to track my progress and actually see what I’m eating, how often I’m exercising etc. So when the lovely people at Moderna Housewares asked me if I’d like to try out one of their Ozeri 4×3 Motion Digital Pedometers*, which records your steps and lets you see a week’s worth of data, I jumped (stepped?!) at the chance! When it arrived I was a little bit taken a back by the bright yellow colour – not too easy to keep that discreet! However as I prefer to keep it in my pocket or handbag and it still records my steps accurately, its not been a problem. This model also comes in black, so if you’re really not a fan of taxi cab yellow you can get a subtler one. It’s a neat little machine, a nice size which is relatively thin and flat, so sits in the back pocket of your jeans without bulging awkwardly! The sleek simple design and nice large screen also make it look pretty smart too. I was very impressed with the amount of things this pedometer can do. I’ve used ones before, that count the number of steps I’ve taken and how far that is in distance. The Ozeri 4×3 Motion Digital Pedometer however records the number of steps, the distance this translates to (in miles or km), the calories burnt, the number of minutes walked and your average walking speed (in km/h or mile/h). blimey! It also holds the data so you can scroll back through and see the totals for seven days previously. Pretty impressive for such a small machine! The Ozeri 4×3 Motion Digital Pedometer is really easy to programme, you just upload your weight, height and length of stride (total distance walked in 10 steps divided by 10) and choose whether you want it to record in metric or imperial and then you’re good to go! The buttons are a good size, not too small and fiddly as they are on others I’ve tried, and are all clearly labelled so you don’t need to constantly refer back to the instructions. 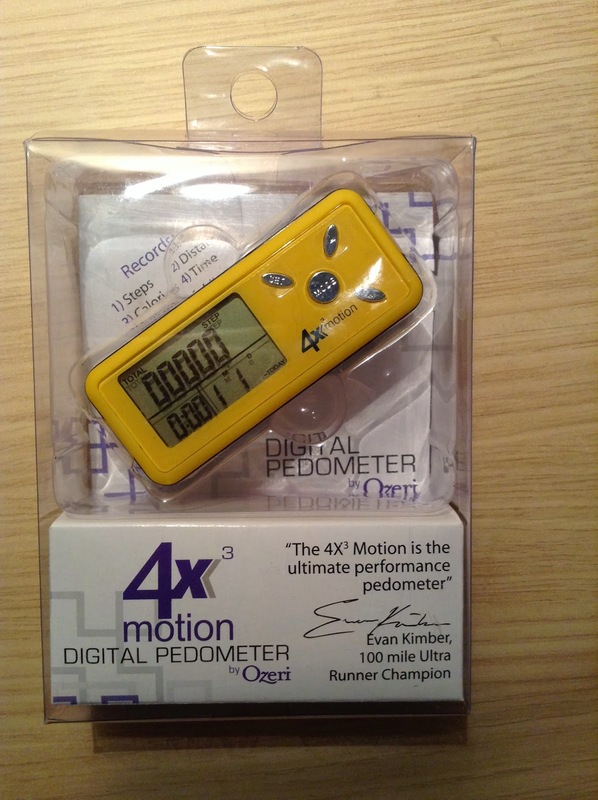 The instructions are pretty thorough and easy to follow though, with clear steps on how to set up and use the Ozeri 4×3 Motion Digital Pedometer. I love looking back through and seeing how my progress has altered over the week (and its also been pretty good at making me go for a walk at lunchtime if my counts aren’t looking too good! It’s scary how easy it is to do such little exercise in a desk bound job!) I also like that I can switch between looking at each day separately, or my week’s totals. Overall I am really impressed with the Ozeri 4×3 Motion Digital Pedometer. I really like how it is small and slim, but contains and retains a whole heap of data. I love being able to look back at my records for the past week, and particularly like being able to easily measure the amount of calories I’ve burnt off, as this is how I prefer to measure exercise rather than distance covered. The Ozeri 4×3 Motion Digital Pedometer is available to buy on amazon.co.uk for £15.95. 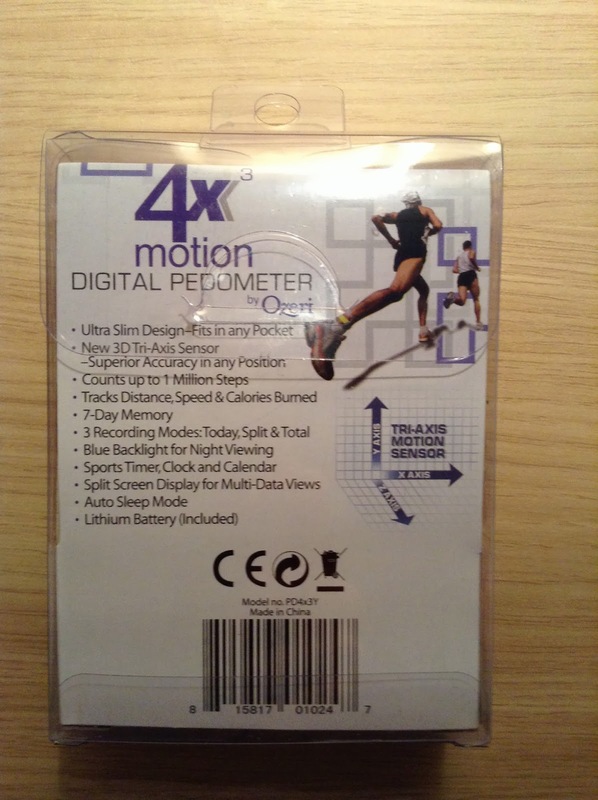 *Thank you to Moderna Housewares for kindly sending me the Ozeri 4×3 Motion Digital Pedometer to review.